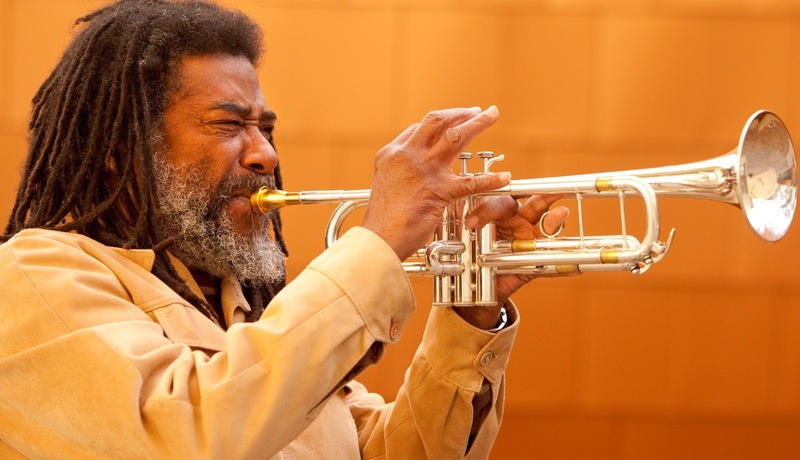 Republic of Jazz: Oct. 12–15: Wadada Leo Smith's "Ten Freedom Summers" premieres in Southern U.S.
Oct. 12–15: Wadada Leo Smith's "Ten Freedom Summers" premieres in Southern U.S. 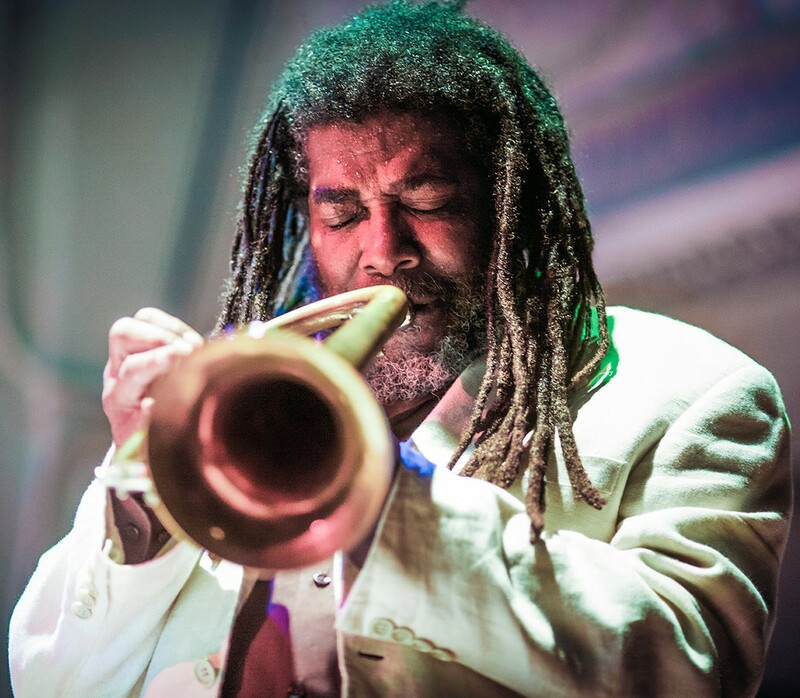 Boldly original trumpeter, multi-instrumentalist and composer Wadada Leo Smith brings his soul-searching Civil Rights tribute Ten Freedom Summers to four southern US cities October 12 – 15, 2017 paying homage to heroes such as Emmett Till, Rosa Parks, Medgar Evers, and Dr. Martin Luther King, Jr. This will be the first time this epic work, for which Smith was a finalist for the 2013 Pulitzer Prize in Music, has been performed in the South. Performing are Smith’s Golden Quartet featuring Smith, pianist Anthony Davis, bassist John Lindberg, and drummer Pheeroan akLaff, the RedKoral Quartet with violinists Shalini Vijayan and Mona Tian, violist Lorenz Gamma and cellist Ashley Walters, plus video artist Jesse Gilbert. 8 p.m. – Tickets $25; $15 for students, seniors and artists. 8 p.m. – Tickets $13; $10 for students. 8 p.m. Tickets $20; $15 for students. 7:30 p.m. Admission is free. Ten Freedom Summers has received rave reviews for performances worldwide. Reviewing the collection’s premiere at REDCAT in LA, Larry Blumenfeld wrote in the Wall Street Journal: “Ten Freedom Summers was as striking a display of his expansive vision and his vitality. He still plays trumpet as he always has: with little vibrato and a tone that can be either boldly declarative or soft to the point of breaking… Mr. Smith had made his own statement through instrumental music. And it sounded complete." Ten Freedom Summers received equal acclaim on CD. Released in May 2012 on the Cuneiform label, it earned a place as the #3 jazz record of the year in the Rhapsody Jazz Critics poll, where respected critic Francis Davis wrote: “A stunning achievement…. It merits comparison to Coltrane’s A Love Supreme in sobriety and reach.” National Public Radio included the CD in its Top 50 albums of 2012 and it placed eighth in the 2012 JazzTimes Critics Poll, while music criticism aggregator MetaCritic hailed it as the #1 under-the-radar album of 2012. The recording has been heralded as “stirringly beautiful … an astounding aesthetic achievement,” (Michael Casper, Oxford American), “an emotional and intellectual luxury, a chance to commune with greatness,” (Josh Langhoff, Pop Matters), “the work of a lifetime by one of jazz’s true visionaries.…Triumphant and mournful, visceral and philosophical, searching, scathing and relentlessly humane, Smith’s music embraces the turbulent era’s milestones while celebrating the civil rights movement’s heroes and martyrs.” (Bruce Gallanter, Downtown Music Gallery), and “his magnum opus; it belongs in jazz's canonical lexicon with Duke Ellington's Black Brown & Beige and Max Roach's Freedom Now Suite.” (Thom Jurek, All Music Guide). 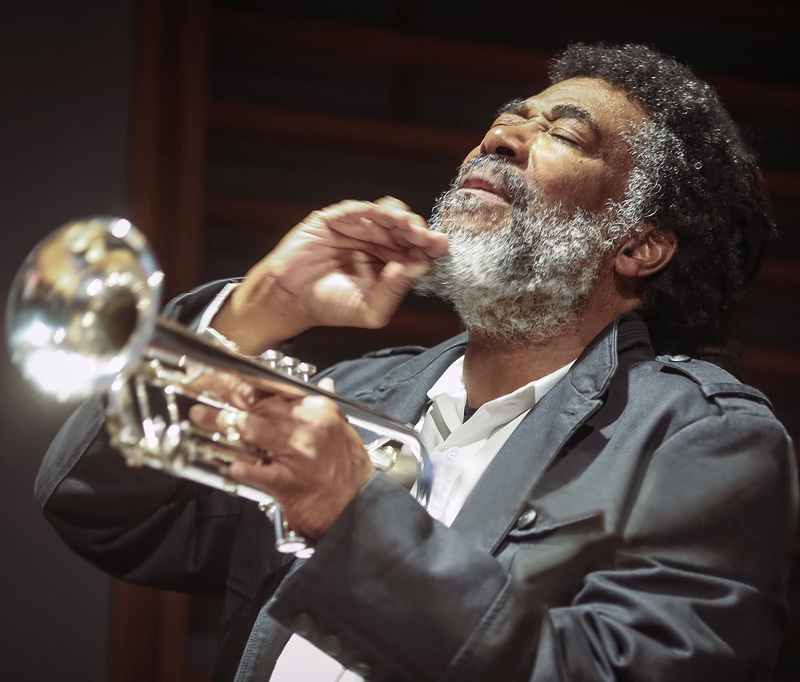 As Stuart Broomer writes in Point of Departure: "If one had to answer quickly what work will matter most this year in American music…Wadada Leo Smith's Ten Freedom Summers would trip readily to the tongue." 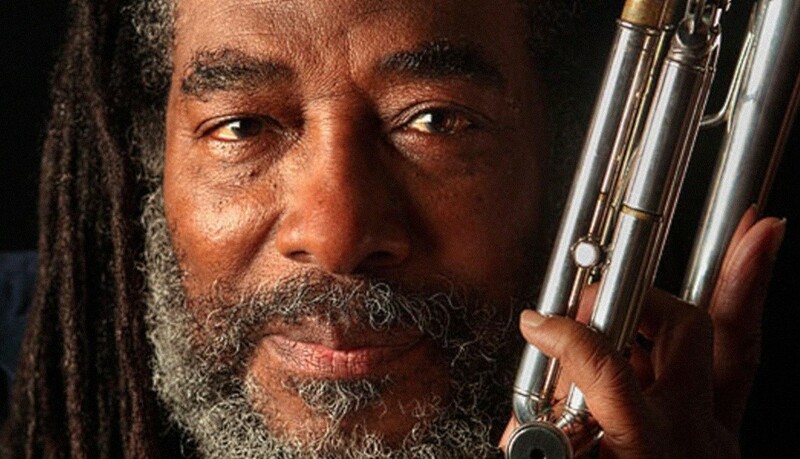 Throughout his career, Wadada Leo Smith, 75, has been recognized for his groundbreaking work. Transcending the bounds of genre or idiom, he distinctly defines his music, tirelessly inventive in both sound and approach, as "Creative Music." A finalist for the 2013 Pulitzer Prize in Music, he received the 2016 Doris Duke Artist Award and earned an honorary doctorate from CalArts, where he was also celebrated as Faculty Emeritus. In addition, he received the Hammer Museum's 2016 Mohn Award for Career Achievement "honoring brilliance and resilience." In addition, in 2017 Smith topped three categories in DownBeat Magazine’s 65th Annual Critics Poll: Best Jazz Artist, Trumpeter of the Year and Jazz Album of the Year and was featured as the subject of a cover story in August 2017. The Jazz Journalists Association also honored Smith as their 2017 Musician of the Year as well as the 2017 Duo of the Year for his work with Vijay Iyer. The JJA also named him their 2016 Trumpeter of the Year, 2015 Composer of the Year, and 2013 Musician of the Year. In 2013 he was also selected as DownBeat Magazine's Composer of the Year. For the last five decades, Smith has been a member of the legendary AACM collective, pivotal in its wide-open perspectives on music and art in general. He has carried those all-embracing concepts into his own work, expanding upon them in myriad ways. In April 2017 Smith presented the first-ever CREATE Festival, a two-day celebration and exploration of his music that featured classic works alongside world premiere performances. The event took place in New Haven, CT. Smith brings CREATE to San Francisco on December 15 and 16. Smith has released more than 50 albums as a leader on labels including ECM, Moers, Black Saint, Tzadik, Pi Recordings, TUM, Leo and Cuneiform. His diverse discography reveals a recorded history centered around important issues that have impacted his world, exploring the social, natural and political environments of his times with passion and fierce intelligence. His most recent recording America’s National Parks (October 2016, Cuneiform), a six-movement suite inspired by the scenic splendor, historic legacy, and political controversies of the country’s public landscapes, earned Smith the designation “National Treasure” from DownBeat Magazine and was heralded as one of the year’s best by the New York Times and many others. TUM Records will release two new recordings by Smith on October 20, 2017. Wadada Leo Smith: Najwa showcases Smith with guitarists Michael Gregory Jackson, Henry Kaiser, Brandon Ross and Lamar Smith, plus Bill Laswell on electric bass, Pheeroan akLaff on drums and Adam Rudolph on percussion. Also on TUM will be Alone: Reflections and Meditations on Monk, a solo recording.